Joy to the world; autumn is here. I love that the season gives me an excuse to use pumpkin! I'm not talking the disgusting artificial pumpkin flavor that you can find in your run-of-the-mill chain coffee shop. I'm talking real pumpkin, pumpkin puree, & all that good stuff. I had a very tempting can of pumpkin puree sitting patiently in my cabinet & I figured there's no better time to utilize it. 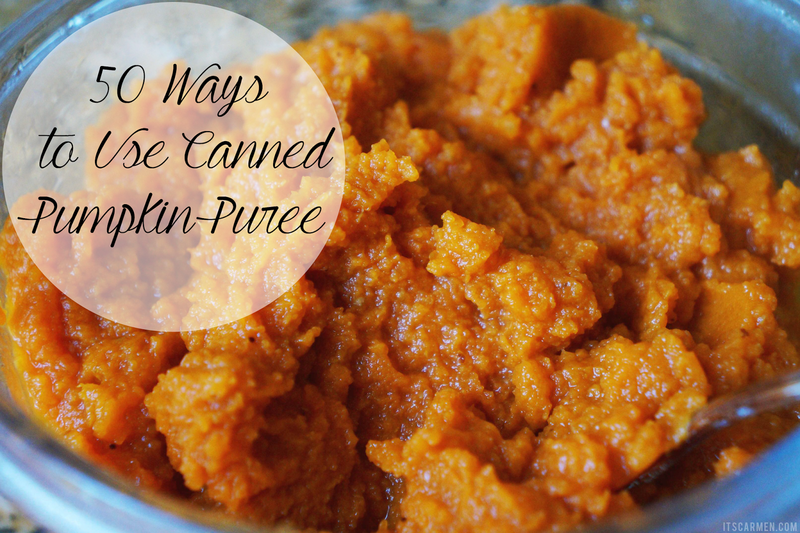 Of course we all know that there's pumpkin pie, but how else can you use pumpkin puree? Well check out this list of ways to utilize it. I wanted to challenge myself to find a variety of options to consume pumpkin without feeling bored. I was thoroughly surprised with the flavor & depth it gave my food & drinks. It's as simple as adding it to your favorite grub, beverages, & sauces. Autumnize your recipes by dropping in some pumpkin! Check out this list. 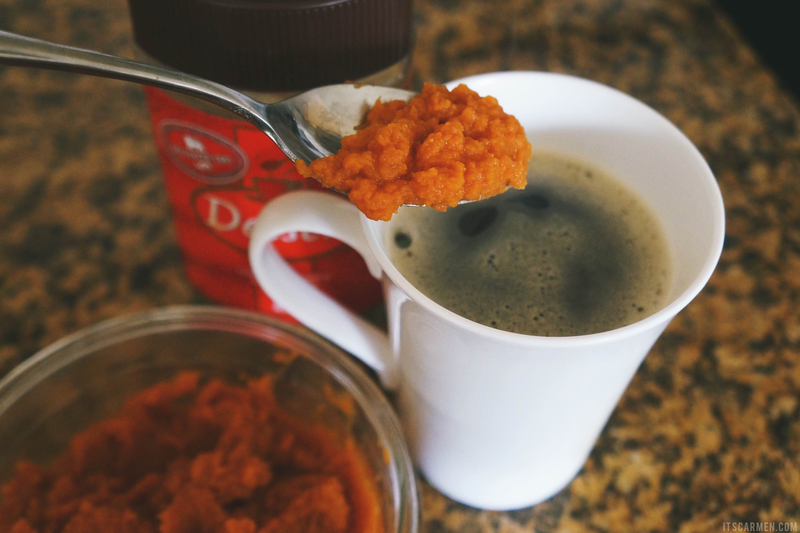 Give your coffee some flavor by mixing in a dollop of pumpkin puree. 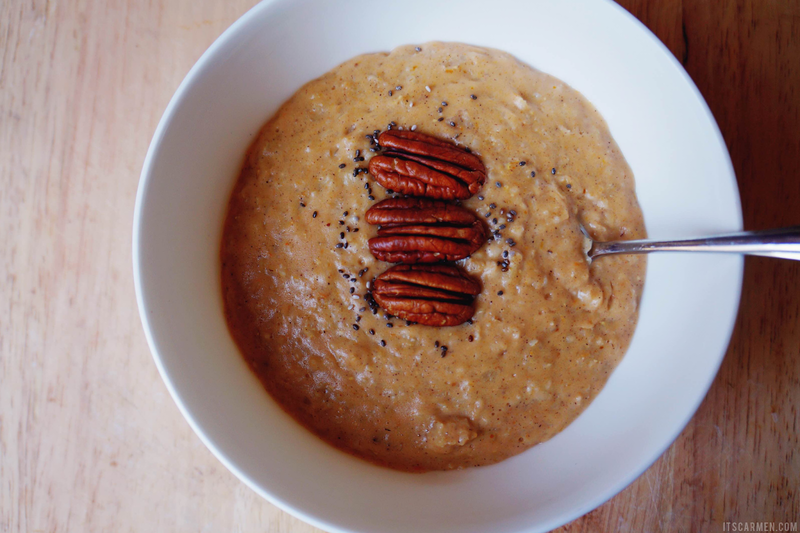 My oatmeal tasted scrumptious with pumpkin puree, pecans, & chia seeds. 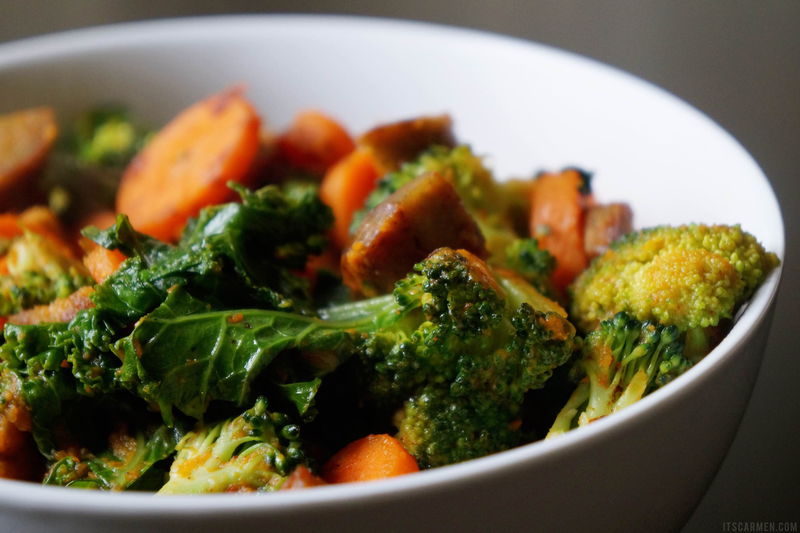 Cook your veggies normally & include some pumpkin puree along with your spices. 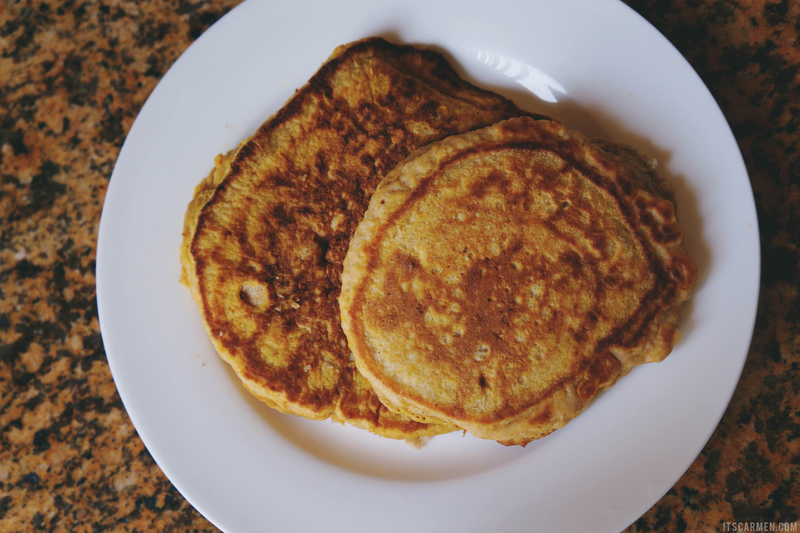 Combine a couple tablespoons of pumpkin puree with your pancake batter. Oh fab post, Pumpkin isn't something we cook with a lot over in the UK but when I do next I will use some of these fab ideas other than the usual Pumpkin soup. I love pumpkin! Here we eat it year round. I think your list about covered all of the uses! The only thing I would add is tarts! Savory tarts with pumpkin puree, mozzarella cheese and corn are really yummy! I also love pumpkin empanadas and mixing it into mac & cheese. I haven't thought about using pumpkin in most of these things, that's interesting!!! Thanks for sharing, I will remember it next time! pumpkin veggies is a great idea! thanks! I never thought of using pumpkin puree with pancake batter so thank you for the great idea! I love the idea of adding it to oatmeal! I eat that stuff almost every morning, and that would really spice it up! Great post! I love all these ideas. I am going to have to try some. Pumpkin is so great in the fall! I love pumpkin! I could eat it everyday♥♥ Thanks for sharing these ideas. Yum I love pumpkin! Great recipe ideas - that oatmeal looks delicious! Omg,this looks delicious. I'll have to try something like this! So cool. Didn't about some of these uses of pumpkin. I will bookmark this post cos I like everything pumpkin. Fragrances, candle and food. I wish we could buy that in the uk! Every year I make my own out of pumpkins that are only around at halloween. I love me some pumpkin pie! Addicted to pumpkin! So many good ideas here! Such good tips! thank you! I always love pumpkin, but I had not thought about all these ways. The oatmeal looks awesome. YUUUUM! Had no idea you make so many things - love it. I love pumpkin meals)) This is some really chic inspiration, I'd love to try, thanks for sharing! 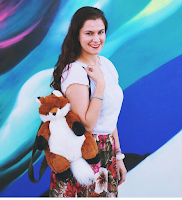 What an awesome post, Carmen! I just shared the idea of putting the puree in coffee with my hubby and he loved the idea! We'll definitely be trying this and the other suggestions you've made in the upcoming weeks! Thanks so much for sharing and have a wonderful day, beauty! Oltre alla zucca salverei anche le castagne, ecco perché si ingrassa in autunno-inverno, ci sono troppe cose buone. Mi salvo tutti i tuoi recipe! Really love this post :) This looks so nice and yummy! I want to try the oatmeal and the pancakes! Yum! Great post! I loooove cooking with pumpkin so I'll definitely have to try some of these ideas - I hadn't thought of putting pumpkin puree in drinks! These are such awesome ideas. Shared! !